Since 1 January 1993, the Czech Republic has been an independent country; before that it was the western part of Czechoslovakia. The countries have a multitude of similarities but as many differences. 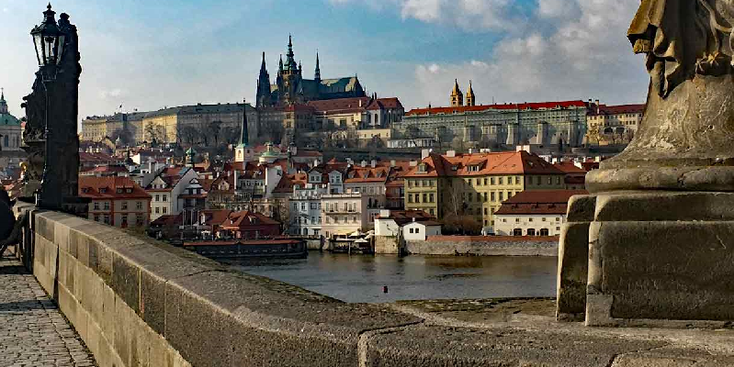 The land of beer, castles and Skoda but also of rolling hills, the attack on "Richard Heydrich" and perhaps the most beautiful city in Central Europe - Prague. The Czech Republic has a history that dates back to the beginning of time with the Celts. When the Hussites rebelled against the powerful Catholics, things exploded, which would later lead to the devastating 30-year war, starting in the tiny Czech Republic. The Habsburgs would classify the parts "Moravia" and "Bohemia" as the province of their great empire and the Czechs would for centuries live as oppressed people. Only at the end of WWI would the Czech Republic, together with Slovakia, form its own country. For a long time the fate of the country did not exist; the Nazis would reclaim the borders of the Czech Republic where a large part of the population belonged to the "Sudeten-Germans" and offer independence to Slovakia. The rest of the Czech Republic was powerless without defense protection (which had been built at the borders of the country) and Hitler could enter Prague without protest in 1938. With help from England one of the most admirable actions was performed on a Nazi head in the Czech Republic. When Richard Heydrich, the German leader of the "Protectorate of Bohemia and Moravia", as the Czech Republic was called WWII, drove to the castle in Prague, he was executed by Czech resistance fighters. The result was that two Czech villages were completely wiped of the map. After WWII the country was united under the communist yoke where in 1968 the "Prague Spring" broke out. The uprising was precipitated with a hard hand. When the iron wall fell in 1989, Czechoslovakia would operate as a joint country for a few years, but in 1993 they became independent. To get to know the people of the Czech Republic a bit better you will have to invest some time; given the past, it is not surprising that the inhabitants of the central country in Europe are a bit shy, quiet and even a bit suspicious. When the ice is broken you can expect a nice, social, interesting and open people. The sights of the Czech Republic are numerous and diverse; the country boasts a wealth of both architectural and natural "sights" that are all worthwhile. In the northwest you can view the sandstone rock formations of the Elbe while in the far north the "Adrspach" rocks can be seen. The rest of the country can be labeled as a rolling hilly landscape with quite a lot of forest but also a lot of green fields and arable farming. The largest city (and the biggest attraction) is of course the capital Prague - a golden city with unlikely architecture, a romantic setting, numerous museums and a very active nightlife. 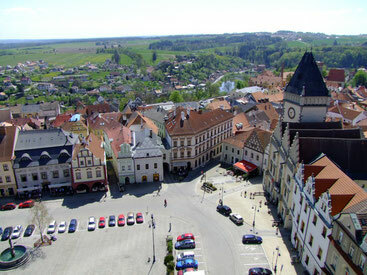 Other interesting cities are "Olomouc" in the east and the beautifully situated "Cesky Crumlov" or "Telc" in the south. 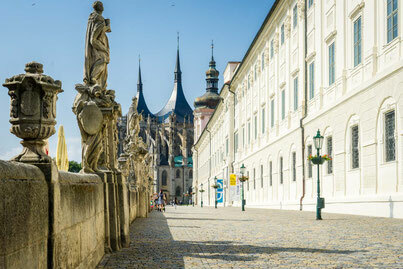 Czech Republic is known for its numbers of castles; most beautiful are perhaps "Karlstejn" and "Kutna Hora" - you can not leave the country without at least visiting one of them. If you are interested in WWII you can visit the very impressive "Lidice" which has been razed to the ground by the Nazis or the propaganda concentration camp "Theresienstadt" (Terezin). But the Czech Republic is also a country where you just have to get lost with your bike, walking, with the motorbike or car - while walking or walking through the landscape you will find old villages with a large pond in the middle, a beautiful church and a small pub with a terrace. The prices are affordable outside of Prague and you can easily order a "fixed" lunch in a local restaurant with a large glass of "lager" for a few euros.